Rules about owner liability vary in each state. In California, the dog’s owner is liable for the damages suffered by any person who is bitten by the dog while in a public place or lawfully in a private place, including the property of the owner of the dog, regardless of the former viciousness of the dog or the owner’s knowledge of such viciousness. There are different consequences depending on who the victim is, and the behavior of the dog and its owner. Consult with an experienced personal injury attorney if you have injuries stemming from a dog bite to determine next steps. In some circumstances, a victim may be less likely to have a strong case against the dog’s owner. For example, if the pet’s owner visibly posts a Beware of Dog sign, this should provide a person with and adequate warning to stay off the property and away from the dog. In addition, if a dog bites a person who jumps a fence, it’s not uncommon to consider that a rational person would not jump the fence. Lastly, if an owner can prove that you terrorized or provoked their dog before the attack, you most likely will not have a solid case. Dog bites can result in injuries and long recovery times. In a successful case with an experienced personal injury attorney, you can receive compensation for lost income, medical bills, pain and suffering and even property damages. The purpose of punitive damages is to punish the guilty pet owner by hitting them in the wallet. These damages typically require you to prove that the dog’s owner acted irresponsibly. 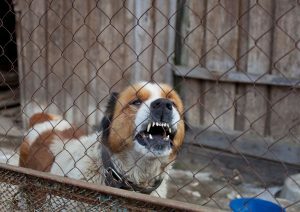 Oftentimes, it is easy for dog bite victims to prove that the owners of dangerous dogs engaged in reckless behavior. Depending on the severity of the injuries, the after effects of a dog bite injury can be a difficult time for victims. You may require various treatments or medications to prevent and treat infections. In come cases, you may require surgery if the dog bite inflicted more serious damage to your body. Before you know it, the cost of medications, hospital visits and treatments for your recovery will begin to add up. In addition, you may need months of physical therapy to fully heal if the dog bite damaged an appendage. Needless to say, it’s an overwhelming time for victims of dog bites, but an experienced personal injury attorney can help to alleviate your stress and suffering. The legal effort to obtain the compensation and outcome you rightfully deserve is best left in the hands of an experienced personal injury law firm. Have you been involved in a dog bite case that resulted in painful injuries? Contact us to schedule a consultation.